Dual-diagnosis patients or patients who are diagnosed with more than one mental illness (usually a mental illness such as depression or bipolar disorder in combination with addiction), require a unique and customized treatment plan for the best possible outcome. The best way to ensure a patient with more than one unique diagnosis receives the special care and treatment they need to recover fully is to consider inpatient dual diagnosis treatment centers, which specialize in cases just like this. Medication interactions. When patients are being treated for more than one diagnosis, there exists potential for dangerous interactions between medications. The health care providers at a dual-diagnosis facility plan carefully to avoid interactions while still achieving the maximum efficacy of medications. Dynamic treatment methods. Patients suffering from multiple diagnoses require customized, living therapeutic treatments and frequent assessments for efficacy. Treatment must be adjusted and changed continually to ensure the patient’s needs are being met and the conditions are well-managed. This requires an additional level of staffing that standard facilities may not have as well as extensive experience in dual-diagnosis treatment in order to be successful. Patient education. One of the most important aspects of inpatient mental health treatment is teaching patients how to cope with their diagnosis and the signs and symptoms that exhibit themselves once treatment is concluded. Teaching patients to avoid triggers and react to thoughts and behaviors appropriate becomes increasingly challenging with more than one diagnosis and requires rich expertise in psychiatry and psychology. The patient’s ability to live a rich and healthy life outside of the inpatient setting depends on thorough patient education. Withdrawal. In addition to treating the mental health diagnosis, physicians must also combat the physical and mental effects of drug or alcohol withdrawal that may occur simultaneously. Drug and alcohol rehab facilities work through withdrawal while mental health facilities work through psychosis, but dual-diagnosis facilities have measures in place to address both at once through expertise, adequate staffing, and appropriate interventions. Patient safety. Patient safety is especially critical for patients prone to self-harm or thoughts of suicide, both of which can be intensified by drug or alcohol use or withdrawal. Dual-diagnosis facilities prioritize patient safety and have measures in place to identify risk and prevent harm. Ongoing sobriety. Ongoing sobriety for patients suffering from mental illness is complex and challenging. While most patients must avoid external triggers such as people and places, dual-diagnosis patients often find that their greatest trigger is an exacerbation of mental illness. This poses an especially unique challenge; exacerbation of mental illness is not only unpredictable but medications to prevent it can be costly for patients who are financially burdened. Furthermore, and perhaps most ironically, delusions associated with mental illness often prevent patients from following their prescribed treatment plan, resulting in exacerbation and risk for relapse. Dual-diagnosis facilities focus on preventing relapse in patients suffering from mental illness in combination with addiction. For many patients, inpatient treatment is the first step toward recovery. The staff at a dual-diagnosis facility aim to make each patient’s stay comfortable, successful, and dignified. Many patients suffering from mental illness in combination with addiction lead rich and fulfilling lives after inpatient treatment. 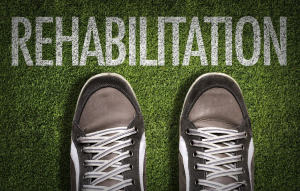 By choosing a facility that is equipped to address the patient’s unique and dynamic needs, he or she can improve the odds of long-term sobriety and mental wellness.